Vicki Webster is currently completing a research PhD under the supervision of Professor Paula Brough, School of Applied Psychology, Griffith University. Her studies investigated the dark side of leadership, including derailing and toxic leadership behaviours, and explored strategies to build resilience in followers to better cope with the negative impact of destructive leadership. Her publications include: ‘Fight, Flight or Freeze: Common responses for follower coping with toxic leadership’ in Stress & Health; a co-authored career management book How to Get Ahead without Murdering your Boss. Six simple steps to actively manage your career; and a chapter ‘Creating the Right Impression’ in “Practising Excellence in Australian Career Practice” edited by Mary McMahon and Wendy Patton. 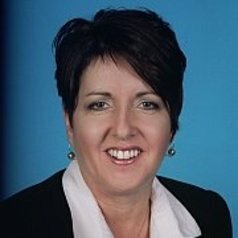 As a practitioner, Vicki is an organisational psychologist with over 14 years experience consulting within private, public and not for profit sectors, leading teams to deliver organisational development and talent management solutions designed to drive cultural change and increase employee engagement, capability and resilience.